Successfully creating the perfect kitchen work station takes time, patience and skill. Whether you want to put the home office in the kitchen or just set up a small desk area to cater for your cooking needs, you need to find inspiration from the workstation. 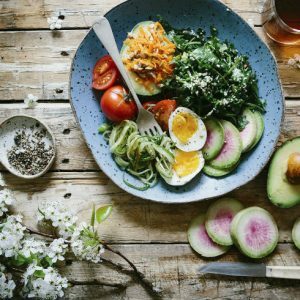 In this post, we’ll share a few points that will put you on the path to success in creating an individual look that will lead to productivity and efficiency in the kitchen. It is important to get rid of clutter; this includes any appliances or other things you don’t use on a daily basis. This actually clears your mind and helps you develop a sequential way of doing things, meaning that you’ll get to work faster and save time and money in the long run. A simple thing like organizing your kitchen drawers will help bring out the best in you. You could try getting expandable drawers where you have similar items in their own compartment. This way, you will be able to easily access something without having to rummage through the drawers in the first place. Place photos of loved ones on walls and countertops that you don’t use for heavy duty work to inspire and motivate you throughout the day. A vase or two of fresh, fragrant and colorful flowers also keeps your workstation smelling great and looking good, adding to that creative feeling that is important in the kitchen. Having a period where you do nothing but relax helps you refocus while diminishing stress during the day. Develop a routine stroll around the block, and chat up your colleagues to have a change of scene and routine. This basically comprises of three sections in the kitchen: storage, preparation and cooking. Storage is the fridge, preparation is the main kitchen sink, and cooking is the stove. Have these sections clearly laid out to enhance movement around them. Additionally, the triangle should be a total of 26 feet, with no single leg of the triangle measuring less than neither 4 feet nor more than 9 feet. Recreate in your mind what you would like your kitchen to look like from every conceivable angle. 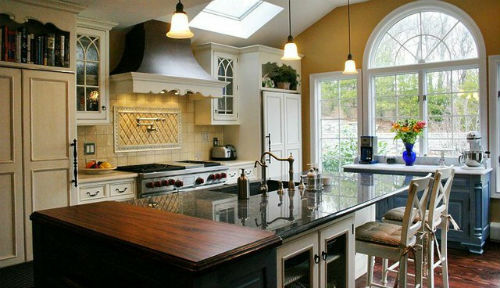 For instance, ask yourself this kind of question: how would the cooking area look to an outsider peering into a window? Would you prefer a full view of the dining area as you prepare meals? This will give you a rough idea of your design esthetic that you can use to create a great space with the help of a designer. Remember to match the various spaces and storage places in the kitchen to ensure that there is seamless blending all around. You can also search kitchen stores for semicustom cabinets; these help you pack more items into work stations that don’t have a lot of space. Getting the perfect work station depends on your inventiveness, creativity and personal preference. We hope that these ideas have given you points that you can use and customize to come up with something that works for you. This is a guest blog by Ryan Berman, an avid blogger with extensive experience in the food catering industry. Visit Short Order for more restaurant equipment solutions. Feel free to comment or share your thoughts on this "How to Create the Perfect Kitchen Work Station" article from Awesome Cuisine.